Some people will pay little heed to the insistence that you shouldn’t have even so much as one type or grammar mistake in the text of your website or blog. Others will disagree, suggesting that there’s a good number of viewers who’ll think less of you in as far as being an authority with your subject matter, or caring insufficiently about your marketing efforts. This is particularly true for anyone who offers a professional service of any kind and uses their website to promote themselves. Many people choose the simplicity and up-n-running quick appeal of WordPress for creating their basic website. Like any Canadian web hosting provider, we’re sure that it’s the same way for a good many of our customers and, as the author of this blog myself, my first foray onto the web was with a WordPress blog hosted right here at 4GoodHosting. But enough about that and back to topic, it is important to have text with words that are spelled correctly uniformly along with perfect readability for your viewers. Considering how easy it is nowadays with all of the extensions and plug-ins available to check your spelling and grammar for you, why wouldn’t you take 10 minutes or so to go over your site and make sure everything’s reading smoothly? Grammarly is definitely the most well-known of them, a widely-used grammar checker plugin which is available as an add-on for popular browsers like Google Chrome, Microsoft Edge and Firefox. 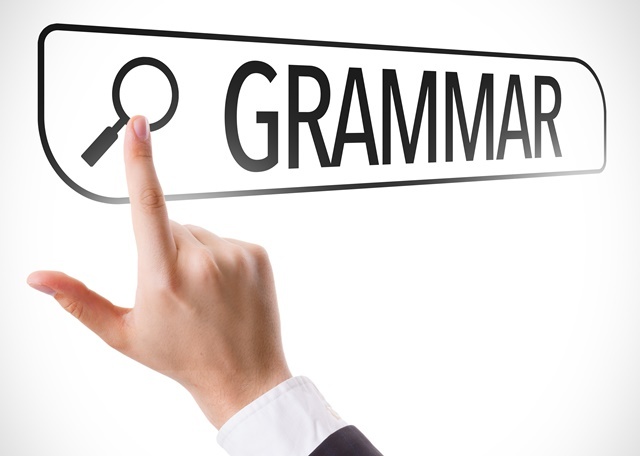 Grammarly scans over your posts’ spelling and grammar mistakes and prompts you to edit them correctly. An indicator appears at the bottom right of editing field. Click on it and then the tool will display all the errors in your post, highlighted with a red underline. Grammarly does require you to switch your content to text editor to proofread. Here’s another easy-to-use grammar and spelling checker plugin, which assists with boosting your productivity and promoting your writing skills. Like Grammarly, Ginger is available as an add-on for browsers and it’s equally easy to use. Ginger users will see a small icon appearing at the bottom right corner of entry fields for Facebook, Gmail, and WordPress’ built-in editor. It will detect errors in real time as you are typing and then highlight it with context. Some drawbacks to Ginger though in our opinion. For starters, you have to revert to text editor in your WordPress website and you also need to manually launch the Ginger editor for proofreading with full ability. This plugin is an extension of Google Chrome, and comes with a built-in spelling checker tool along with an optional readability and grammar check display that we really like. After installing this extension in your browser, you will then need to click it on and choose options. It opens a Settings page like you’d find with any add-on, and you then select the options you are likely to use. Clicking on the Spellcheck icon allows you to run the add-on when you are composing posts. Note that icon can be founded in the editor’s bottom right corner. Hemingway is little different in that it is a web-based text editor. It doesn’t work like the other grammar checker tools that work within the WordPress post editor. It does offer a free web-based editor free of charge that shows you readability, spelling mistakes and grammar errors in your writing. What gets Hemingway on the list though it can be a style checker as well as a grammar checker, designed to promote your posts’ readability in the means of displaying the readability score of your posts as well as offering suggestions where you can make improvements. It’s got a simple and clean layout to help you evaluate your WordPress blog posts quickly before you publish them. The web-based app of Hemingway also can be a paid desktop application for Mac and Windows that lets you post directly to your WordPress site. This is a free extension for major browsers and file managers like Google Chrome, Google Docs, LibreOffice, and FireFox. It’s available as a desktop app and a web-based editor. Languages tool impresses with the fact that the extension comes with support for more than 20 languages, including English, Polish, Russian and German. Website masters running multilingual sites and having multilingual authors will find it extremely useful. Only downside for this one is that the free edition will only check up to 20,000 characters each time. The Jetpack plugin suite for WordPress lets you get off the ground quickly when reviewing your work, and what’s good about it is it comes with many useful modules. The big plus for Jetpack is that the plugin allows adding proofreading to WordPress post editor. For advanced grammar detection, you can go to Jetpack’s Settings page and choose different style ‘rules’. Jetpack’s only drawback is that the plugin requires you have WordPress.com accounts, and some of the added features aren’t particularly useful for many people . Now that you’re in the know, try one out and see to it your WordPress website is ‘perfect’ from front to back, and with every new blog post or guest contribution. PCI Compliant web hosting is now available from 4GoodHosting, with the same quality, reliability, and customer service you can expect from one of Canada’s premiere web hosting providers. Merchants and service providers online now can now have their website hosted in a secure environment that will be approved by PCI scanning tests. A PCI approval scan will allow you to secure merchant accounts with your financial institution and offer customers proven-secure online processing of their credit cards.